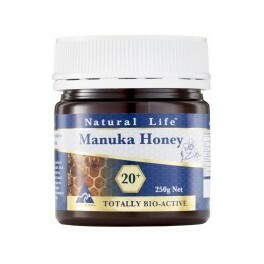 Natural Life™ Manuka Honey 20+ is a high strength, premium quality contaminant-free Manuka Honey. The active antibacterial strength of all Manuka Honey is based on levels of MGO (methylglyoxal) per kilogram. 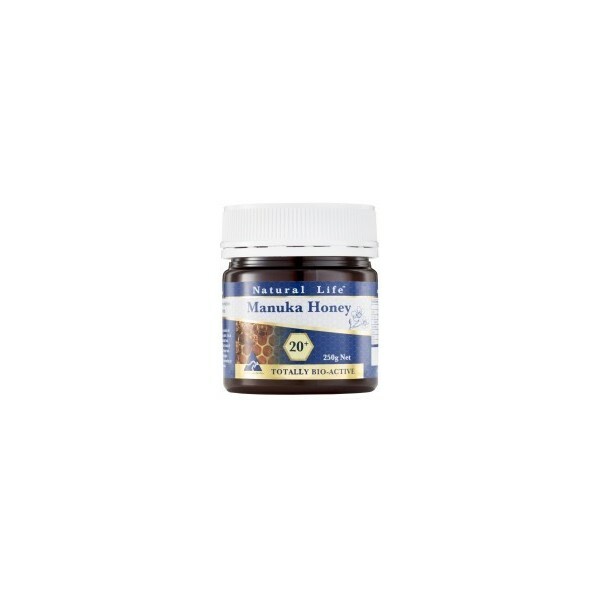 Natural Life™ Manuka Honey 20+ is scientifically tested for MGO (methylglyoxal) with a content of 450gm per kilo, equivalent to active 20+ in the more common ranking methods. Natural Life™ Manuka Honey 20+ is of high stength and strong flavour. It can be consumed daily as a support to support digestive health and general wellbeing and may even be used on skin irritations and wounds to assist natural healing.